Don’t just hear it from us. Read through our case studies to see how we have helped many businesses achieve their waste management goals. We provide innovative solutions to food waste problems. 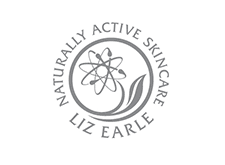 We have helped hundreds of customers worldwide reduce their environmental footprint, by installing our sustainable solutions, from local schools, hotels and shopping centres, to food manufacturers, oil pipeline sites and marine vessels. The rocket composter (an A700) arrived in the summer of 2012, and coincided with a change to a dry mixed recycling arrangement with their waste disposal company. After the initial set-up period was completed, creating the optimum conditions for the natural compost bacteria and fungi to thrive, they were off! The composting process has been running continuously and successfully ever since. 100% of the food waste generated in The Green House goes through the rocket, producing around 700 litres of compost a week. The Bold Tern a unique vessel which is at sea for weeks at a time installing giant wind turbines, has 80 staff on board. Space is at a premium and the current method of food waste storage presents its own hazards. Pennyhill Park Hotel and Spa, Bagshot, the head office for the Exclusive Chain of Hotels and Venues, the home of the England RFU training camp this luxury spa complex and home of the famous Latymer restaurant kicked off the 2015 season with a conversion of their own, by taking on an on site food waste recycling project with Tidy Planet as suppliers. 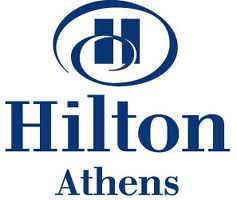 The Hilton Group of Hotels commissioned ECOVRS, Tidy Planets distributors in Greece to provide a more sustainable method of dealing with the hotel food wastes than collection and landfill. Clyde Shopping Centre, without doubt one of the most forward thinking responsible shopping centres in the UK, but what goes on behind the scenes to make this business receive so many awards? 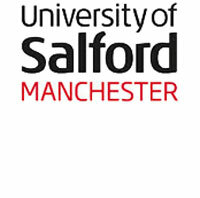 As one of the largest organisations in the Greater Manchester Region with over 20,000 students, 2,800 staff and a land holding of 70 hectares in Salford, the University of Salford recognises the impact it has on a local, regional and global environment and is committed to playing its part in making the world a more sustainable, responsible and equitable place.